Hello, today I have folded a card in traditional Christmas colors. 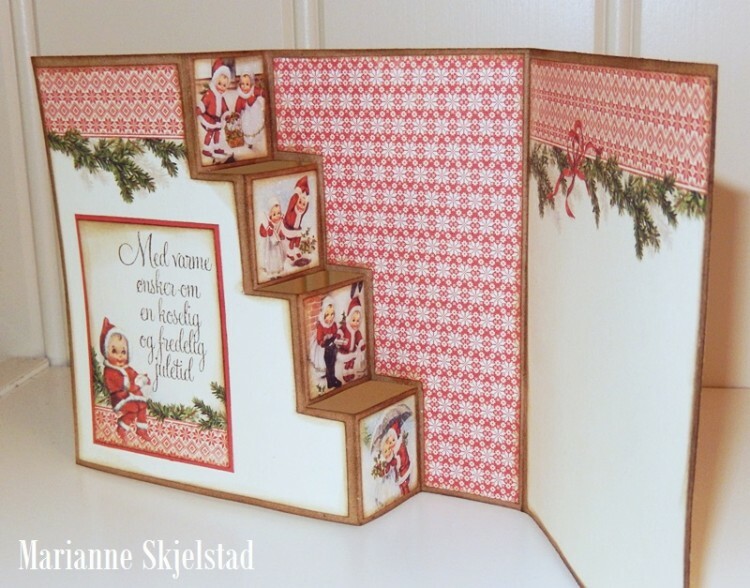 All the papers are from the beautiful collection Christmas in Norway. Such a lovely card! Love the Christmas in Norway papers, too! 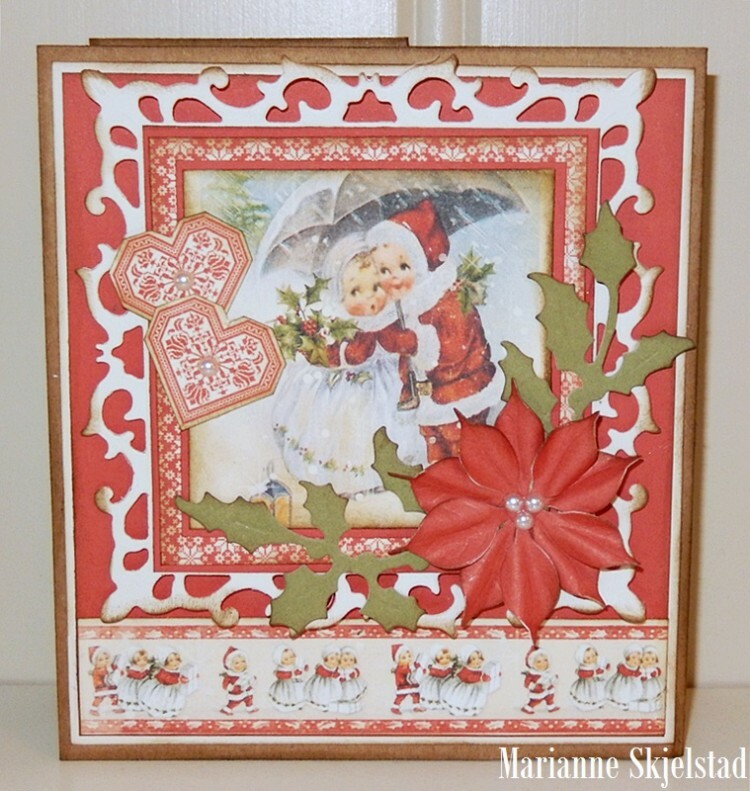 Marianne, you did such a lovely job on this Christmas card, you are so creative and clever! !